When I am out and about, I often take a specially outfitted laptop built on a Raspberry Pi that provides me with mobile communication capabilities (Figure 1). The Rasp Pi offers a multitude of free software, much of it customized to Raspbian Linux, including programs that allow you to send and receive text messages. 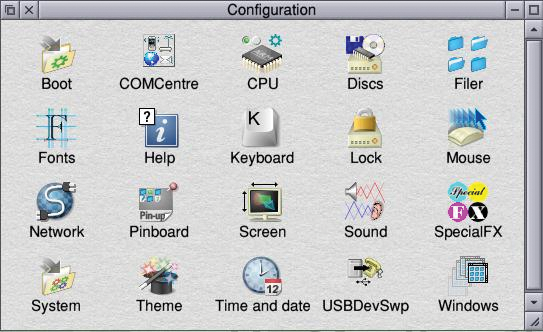 This article describes an alternative using the RISC OS operating system with the COMCentre communication tool. 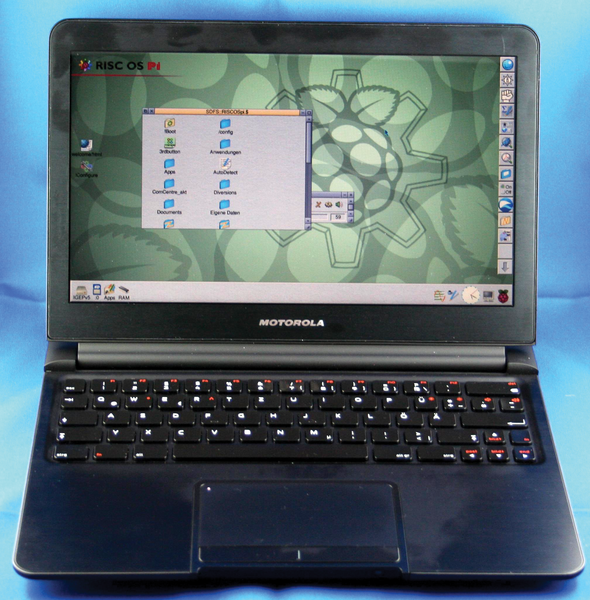 Figure 1: The heart of the laptop is a Raspberry Pi running RISC OS. You can download COMCentre free of charge from the developer's web page . Under the hood, it is apparent that pieces of this software have been borrowed from Linux tools, which you can use to your advantage when configuring new sticks. Installing COMCentre is easy. The application just needs to be copied to the directory of your choice. The requirements include !Boot.Resources. !Routines, which are available in RISC OS RC14; also, Filer, the RISC OS system that lets you access filesystem operations, must be acquainted with the AppBasic tool. The program and the additional packages !USBDevSwp and !USBSDvEmu can be downloaded free of charge from the developer's website . Additionally, the !Boot.Resources. !System.Modules.Network has to contain PPP and URI modules. This is where you should also copy USBSDvEmu. The main application, !COMCentre, and !USBDevSwp are then simply placed in a directory of choice. After double-clicking, the programs begin to create settings in the background. When the UMTS modem is a commonly used USB stick, the software will typically have no problems recognizing the hardware. Configuring an unknown stick is not as easy, and a description of how this works would go beyond the limits of this article. Double-clicking on !Boot calls the configuration tool. The entries COMCentre and USBDevSwp will appear in the Configuration window (Figure 2). Figure 2: The user uses USBDevSwp to install a stick as a USB modem. USBDevSwp has additional specifications (Figure 3) for configuring the UMTS stick in the modem. When the system recognizes the stick, it automatically generates the appropriate settings. You should configure unknown devices manually; COMCentre includes detailed configuration help. Figure 3: Sticks can be identified with the manufacturer or product ID. Although it is not always intuitive, once you understand how it works, identification goes quickly. Some device files in the !Boot.Resources. !USBDevSwp.Devices folder are from the Linux world. The file name indicates the vendor and product ID of the stick before it is inserted. Internally, you will typically find several sticks labeled with the same ID. USBDevSwp always uses the first entry on the list. If problems arise, it makes sense to figure out whether TVend. and TProd. have been set up correctly and that the first entry on the list is the correct one. COMCentre uses the default settings from the provider that accompany the stick or the SIM chip. If necessary, you should adapt these settings to the configuration (Figure 4). You should also specify a PIN number, so you avoid having to enter the number at each login. If you want to save text messages to a particular place in the filesystem, this should also be specified and configured. 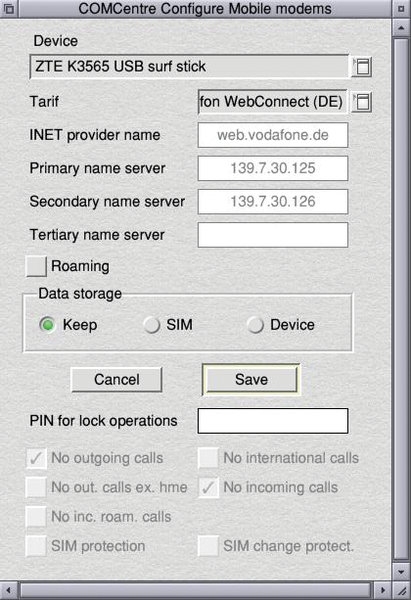 Figure 4: Configuring the basic information for the connection, including where the text messages are saved on the SIM chip or whether they should be saved on a device to allow for more convenient access.